The footbridge was removed in three parts over two consecutive weekends and the third section of the bridge is of particular significance to the Great Western Society, as it is the location of the Society’s creation in 1961. The four founding members, who were schoolboys at the time, are said to have stood on the bridge in view of the steam trains in the old Southall depot and created the Great Western Society which aims to preserve the late Victorian/Edwardian railway network. 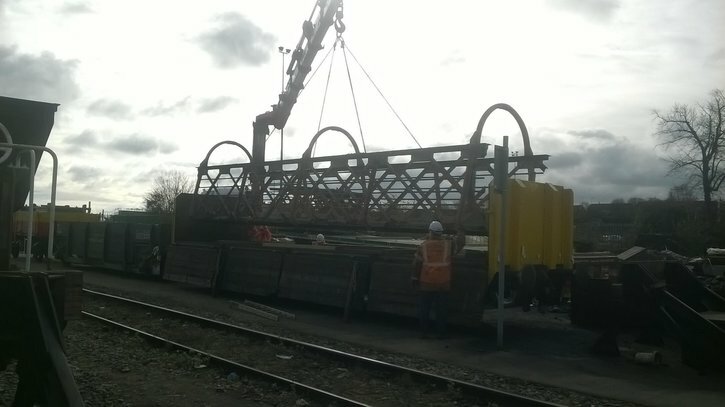 After being successfully removed by crane, this span was hauled to the Didcot Railway Centre where it will eventually be displayed in a new exhibition at the museum. We worked closely with Subcontractor Murphy and arranged for the historic bridge to be hauled from Southall to its new home in Didcot, waiving management fees to enable the project to happen. The bridge will be replaced by a new cycle and pedestrian bridge as part of the works.